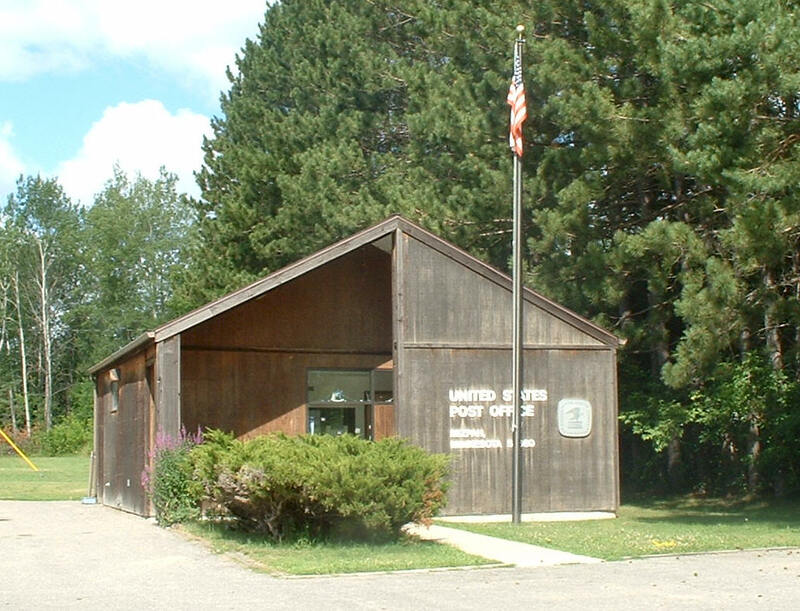 Do you have photos, historical accounts or other items pertaining to the Gemmell area? Would you like to share this historical information with the world? LakesnWoods.com would like to publish your Gemmell photos (current or historical) or historical accounts on this website. Original materials can be returned and your privacy will be respected. Gemmell was one of the largest logging communities in Minnesota in the early 1900's and evidence of this history is visible still in the logging shacks which sit among the swamps and bogs in the Gemmell area. Explore Kyro's Domain, the man who built his own railroad. Today, Gemmell is home to one of the largest bogs in the world. Snowmobilers can experience the Big Rock, a miniature mountain left by the glaciers millions of years ago. 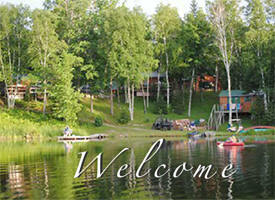 Enjoy great fishing and recreation on Clear, Dark and Little Dawson Lakes. 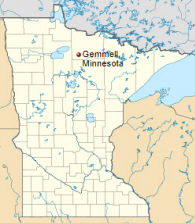 Gemmell is an unincorporated community in the Northome unorganized territory of Koochiching County, Minnesota. The community is located between Northome and Big Falls at the junction of County Roads 12 and 25; and U.S. Highway 71. According to the United States Census Bureau, the unorganized territory has a total area of 297.3 square miles (770.0 km²), of which 296.0 square miles (766.6 km²) of it is land and 1.3 square miles (3.4 km²) of it (0.44%) is water. As of the census of 2000, there were 496 people, 192 households, and 143 families residing in the unorganized territory. The population density was 1.7 people per square mile (0.6/km²). There were 336 housing units at an average density of 1.1/sq mi (0.4/km²). 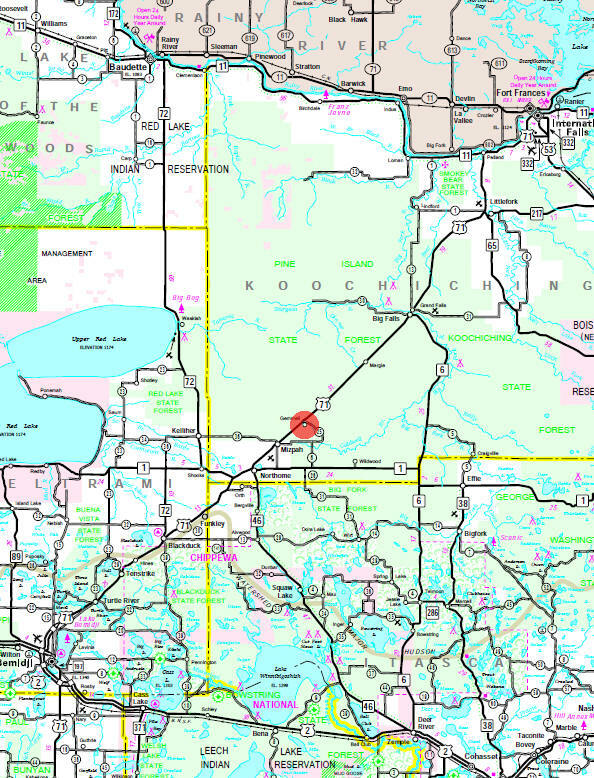 The racial makeup of the unorganized territory was 95.97% White, 3.43% Native American and 0.60% Pacific Islander. Hispanic or Latino of any race were 1.01% of the population. There were 192 households out of which 31.3% had children under the age of 18 living with them, 65.1% were married couples living together, 6.8% had a female householder with no husband present, and 25.5% were non-families. 23.4% of all households were made up of individuals and 13.5% had someone living alone who was 65 years of age or older. The average household size was 2.58 and the average family size was 3.02. In the unorganized territory the population was spread out with 27.4% under the age of 18, 5.4% from 18 to 24, 22.0% from 25 to 44, 29.0% from 45 to 64, and 16.1% who were 65 years of age or older. The median age was 42 years. For every 100 females, there were 111.1 males. For every 100 females age 18 and over, there were 106.9 males. The median income for a household in the unorganized territory was $26,696, and the median income for a family was $34,583. Males had a median income of $24,375 versus $20,833 for females. The per capita income for the unorganized territory was $13,182. About 14.3% of families and 19.6% of the population were below the poverty line, including 31.7% of those under age 18 and 16.5% of those age 65 or over. Gemmell was first known as Stoner. The name was later changed to Gemmell in honor of W. H. Gemmell. He was the first road master of the Minnesota and International Railway. 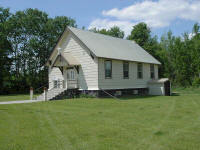 In November 1906 the Joseph Reinarz family moved to Gemmell, Minnesota from Neilsville, Wisconsin. They then proceeded to buy the Stoner Hotel, which was the first hotel built in Gemmell, from a Miss Aadberg. His son Hubert Reinarz later owned one of the largest cedar mills in Gemmell. Other large cedar mills in Gemmell included the National Pole Company, Page and Hill, American Cedar, Northern Cedar, Larson Bros., Oscar Fortenson, Martin Bros., and E. A. Johnson. There were also many other small cedar mills. Frank Miller built the first cedar mill in Gemmell which he later sold to Leon Hoyt. The National Pole Company's was thought to be the largest of them all. Many people, like the Reinarzes, moved to Gemmell when the Minnesota and National Railway built tracks through Gemmell in 1905. They moved because of the promise of jobs that came with a growing city. Gemmell's main industry was cedar. It also had 17 hotels, an ice cream parlor, two schools, four or more restaurants, one gas station, one church, more than ten sawmills, and a number of other businesses. At its highest peak Gemmell had a population of 2,000 people and was known as the Cedar Capitol of America. Then the town burned down because of a forest fire. Nobody ever found out who started it. All the mills burned down as well as many other business and homes. After the fire almost everybody left. Every night another group of people left on the train. The businesses that did not shut down burned down because of the decreasing population. Now in the year 1998 Gemmell has only one business and a population of about 40 people. Now the once proud and prosperous town of Gemmell is a ghost town compared to what it was 90 years ago. It is not even a pale shadow of its former glory. Post Office: Gemmell Post Office opened in 1905 and closed in 1974. The first postmaster was A. Juleson. The nearest Post Office is in Mizpah, about 5 miles away. 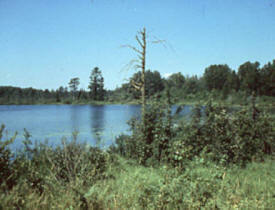 Pine Island State Forest, located in Koochiching County in northern Minnesota, is the largest of Minnesota's 58 state forests, encompassing 878,040 acres. •Pine Island State Forest is named for the pine habitat that emerges from forested and nonforested peatlands, bogs, and shrub swamps •Numerous species of orchids thrive in this scenic forest. Late May into June provides peak viewing for many of these beautiful wildflowers. Nestled between two lakes, Clear Lake Resort is amidst the pines, birch, maple, and poplar trees of Northern Minnesota. Great for a romantic weekender, hunting trip, or family getaway, here you will find an amazing vacation destination. Thank you for visiting our website and we look forward to helping with any of your upcoming resort vacations. If you are looking for the services of a first-rate canvas shop, you have come to the right place. In addition to canvas fabrication done in my own shop here in northern Minnesota, I also am a dealer for several top-notch canvas manufacturers.